Bhanwala was on a roll since the first round and while no other participants could manage to shoot five, he did that twice, consecutively, and at the end of the first round, he was leading the chart with 13 points. However, the biggest disappointment was to be Neeraj Kumar, who despite his glorious record at the world level, was under par in his pursuit today and could only manage a total of seven points in the first round. Bhanwala, on the other hand, steered clear of elimination due to his superior first round points and it was Pakistan’s Muhammad Khalil Akhtar, who managed to shoot only 6 points in the first round, who got eliminated first. Neeraj Kumar followed suit, which brought a lot of pressure on Bhanwala to win a medal for the country. 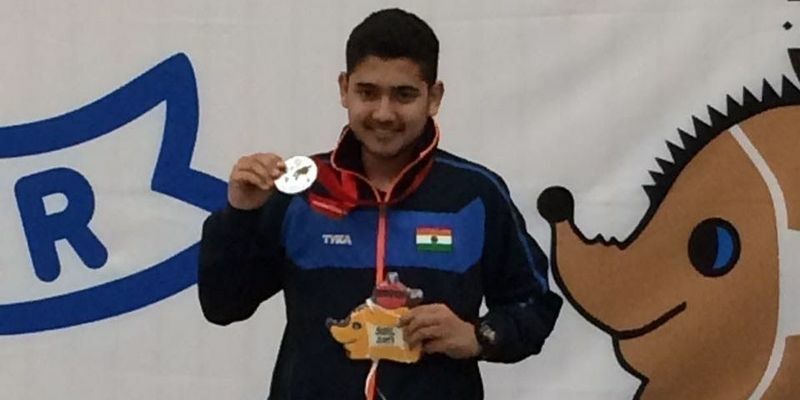 And, Bhanwala, who had won a gold in 25m Rapid Fire Pistol event at the ISSF Junior World Cup last month, stood tall to the faith and shot a combination of 1,5,3,3,5 to end with a Games record of 30 points and secured a Gold for the country. Earlier, in a first of its kind, the Central Board of School Education had granted permission to Bhanwala to appear for some of his class X Board papers at a later date. And the 15-year-old also appeared for some of his exams in the morning after arriving from his maiden ISSF World Cup in Mexico at the dead of night.